OLD PARKED CARS. : 1981 AMC Eagle Kammback. Jeez, look at how scrunched up it looks! I love it. FOUR WHEEL DRIVE. It would take no power at all to make this car a hoot to drive. i waited a while to make a comment, because i found it difficult articulating the joy this post gave me. this hits the nail on the head for what i wish every post could be: an odd, forgotten, uncelebrated car that would never have turned a head in its day but now looks like an alien star ship, in the least pretentious color imaginable, totally stock and preserved in spite of a complete lack of coolness. i don't actually know if this is the stock configuration--those wheels make no sense--but it seems period correct at least. a car i would actually not feel comfortable being seen in as a driver or passenger. taillights obviously ridiculous. love the huge tailgate glass, too. and kammback is the best word in the english language. i'm goin' to bed happy. 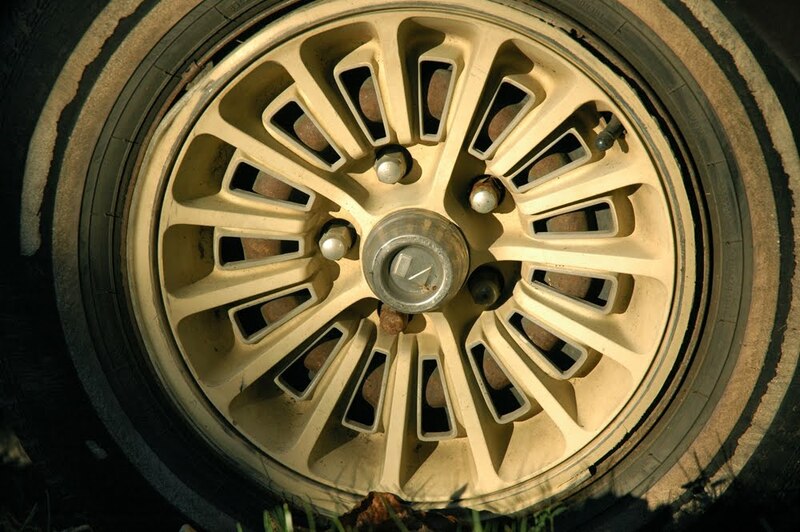 Those wheels are correct and original to the car. 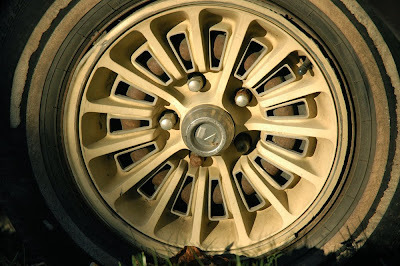 If you look closely, you can see AMC's "A Mark" symbol on the center caps. 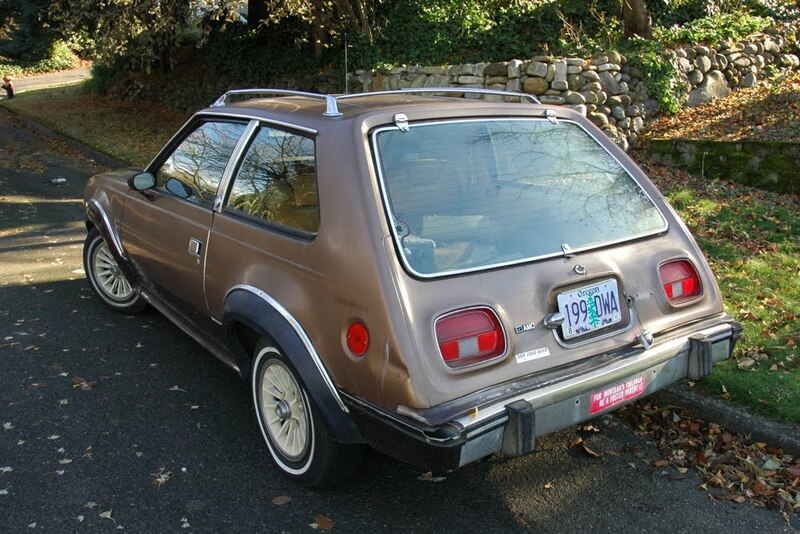 That being said, this is a very rare car, even for an AMC! I meant to post the wheel closeup sooner, but wasn't sure if anyone would care. Glad I'm not the only one who's psyched on them! I think they're one of the biggest sources of personality, and look just sporty enough. Not to mention the hilarious-ly simple center cap. Sorry guys, but the wheels / wheel covers are not correct for an Eagle. Those are 14" wheel covers for a 2WD AMC. Eagles had 15" wheels so ..... it must not be 4WD any more. Take a look at the ride height ... too low! Otherwise a VERY NICE EXAMPLE of a very rare car. Somebody took real good care of it. This looks like a regular ol' Spirit Kammback with an Eagle front clip. The front wheels don't look centered on the wheel wheel, making me think the Eagles had a slightly longer wheelbase. Back around 2000, I used to see a bright green one of these in the town next to mine. 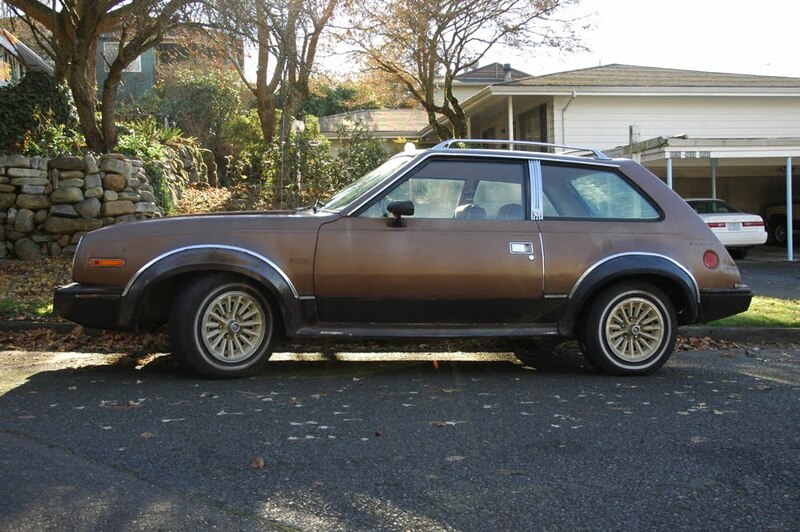 It's neat to see that all AMC did was put a Spirit/Eagle front and a new quarter panel window on a 77-78 Gremlin. Plus, the quarter window looks kinda tacky, for some reason, this Eagle's window just doesn't look right. 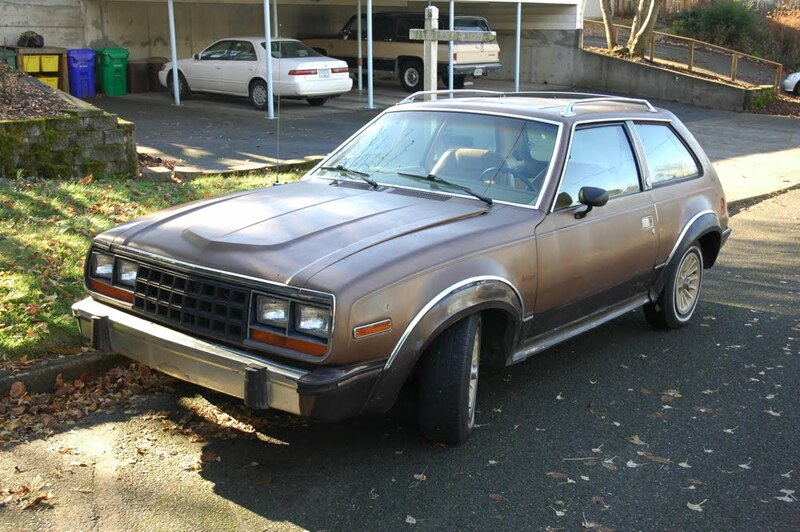 Great rare car though.